Dry Needling relies on the stimulation of specific reactions in the target tissue for its therapeutic effect, this has found to be effective for relief of pain in muscles and connective tissue. 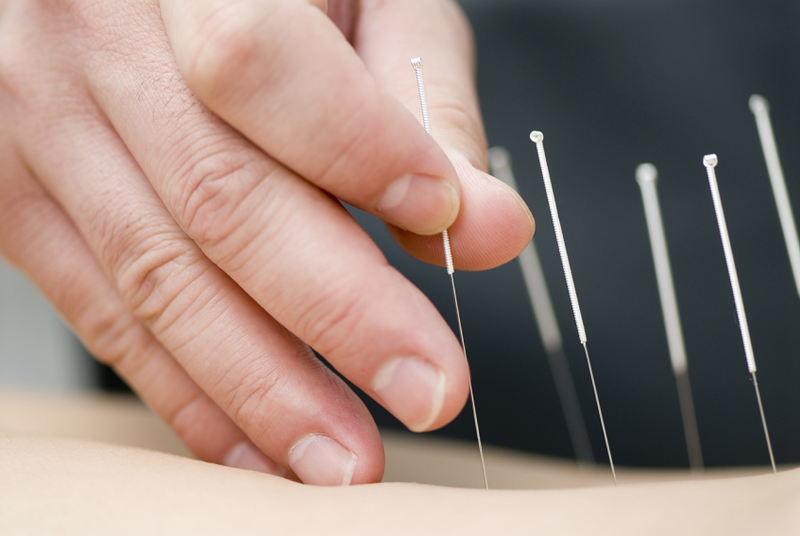 Dry needling is formed on the grounds of acupuncture and uses thin needles to give similar effect and is less painful than the traditional acupuncture. Our Physiotherapists are not Acupuncturists. We call our needling “dry needling”. Trigger point needling is used by physiotherapists on Myofascial trigger points which are also termed as hyperirritable spots in a skeletal muscle. It is termed as intramuscular stimulation and works effectively in conjunction with other forms of traditional physiotherapy treatment. Often the spots we needle are very similar to the traditional Acupuncture points. When a needle is successfully inserted into a trigger point it causes a local twitch response. This normalises blood flow and allows proper cellular function to return. Chemicals are then released in the body to help repair and rebuild the damaged tissue in the area. Most patients would not feel the needles however, some may complain about cramping or a prick sensation, this is however normal when eliciting a twitch response. When could Dry Needling be helpful? All our physiotherapists are trained in dry needling. Dry needling may be used along with other forms of treatment. Ask your physiotherapist for more information about this form of treatment.